Join the Friends of the Cresheim Trail on Saturday, June 30th, to continue working on the Cresheim Trail. 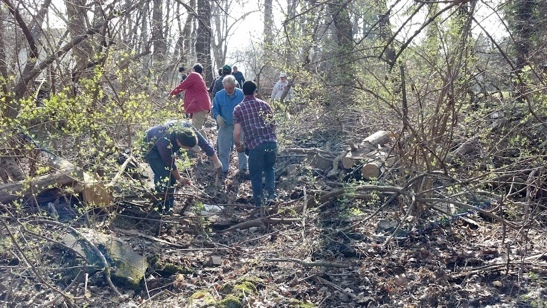 Volunteers will remove trash from the trail corridor, cut vines, and continue working on the new trail. We will meet at Allens Lane and Lincoln Drive at 10 am. Coffee, light refreshments and tools will be provided. Closed-toe shoes are required and it is recommended to wear pants and long socks. Work days will be cancelled in the event of a steady rain.